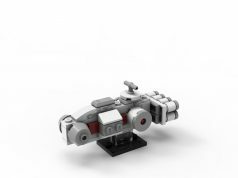 At Star Wars Celebration 2019, LEGO has officially revealed the next LEGO Star Wars direct-to-consumer set with the Tantive IV (75244). Although not labeled an Ultimate Collectors Series set, it could very well be one as it comes in at 1,768 pieces and retailing for $199.99. 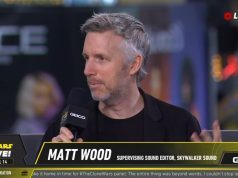 It will be available starting on May 3 which is the start of LEGO’s May the 4th promotions so there will most likely be a gift-with-purchase bonus during that weekend. Check out the press release along with additional images below. •	Includes 5 LEGO® Star Wars™ minifigures: Bail Organa, Princess Leia, Captain Antilles, C-3PO and a Rebel Fleet Trooper, plus an R2-D2 droid LEGO figure. •	Tantive IV LEGO® Star Wars™ construction toy features a radar that doubles as a carry handle, 2 detachable escape pods with space for a minifigure inside, opening cargo hold and removable cargo box, opening 2-minifigure cockpit, rotating and elevating stud-shooting turrets on top and 2 spring-loaded shooters underneath. The top hull detaches to reveal a detailed interior including a conference table, weapon rack and a control console with 2 seats for the minifigures. •	Weapons include a blaster pistol and 3 blasters. •	Also includes a pair of electrobinoculars. 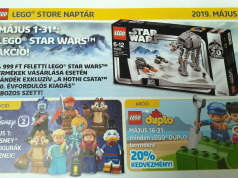 •	Captain Antilles minifigure is an updated version from 2009, while Princess Leia’s skirt and Bail Organa are new for April 2019. •	This highly detailed building toy construction set includes over 1,750 pieces. •	Recreate amazing moments from the opening scene of Star Wars: A New Hope or play out your own exciting adventures! •	LEGO® Star Wars™ starship measures over 5” (14cm) high, 24” (62cm) long and 7” (19cm) wide.